I’m lucky enough to have lived in several overseas countries, and when living in the US I travel overseas a lot. Given that we in the US are the last holdouts to use the archaic “English” measurement “system” that not even the English use anymore, I often have the need to convert metric units into English, or the other way ‘round, and to convert foreign currency to and from $US. Whether it’s cooking, buying gasoline, trying to figure out whether 20C needs a sweater, or whether 10,000 Rwandan Francs is a lot for a bottle of wine, I keep a unit conversion app on my home screen. Fortunately, unit converters are as common as to-do apps or notepad apps, and I’ve tried many over the years. For me, Measures HD for iPad hits the sweet spot of having all the features I need, with none that I don’t to clutter up the app, all presented in a simple, intuitive user interface. 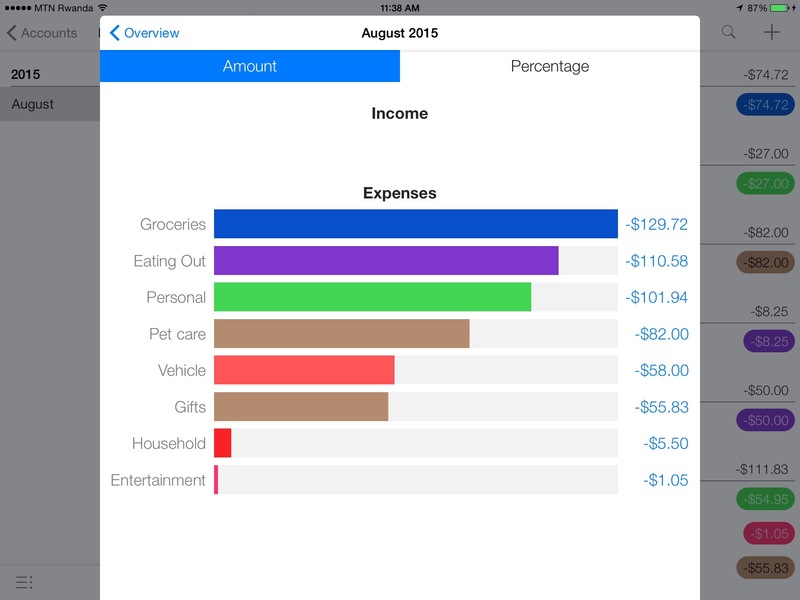 The generically named My Finances app for iPad is an easy way to track everyday expenses and generate simple, clear reports that will show you what you’re spending your money on. In a world of automated and complicated finance apps, My Finances does one thing and does it easily and well. I had a simple question: “Where the heck is all my money going?” Maybe you’ve been there, too: at the end of the month I have a giant hole where my paycheck used to be, and I can’t, for the life of me, figure out where it all went. Also, I plan to move soon and wanted a handle on my spending so I could make a realistic budget for the future. Knowing that as for all things in life there’s an app for that, I started to browse the app store for some help. Yikes! Talk about app overload: I think there are as many finance apps as there are weather apps or to-do lists. Many of the apps are very sophisticated, automated, and comprehensive. Probably the best known is Mint, which has many good reviews and happy users: you connect it to your accounts and it automatically tracks incomes, spending, investments, etc. But I was looking for the opposite of automated—I was on a mission to see where every dime went; if I let it all happen behind the scenes, how would I get that granular level of awareness? So I downloaded the free versions of three apps that seemed the most simple, looked like they would generate the clear report I wanted, and got decent reviews. After trying them all for a week, I settled on My Finances, and then ponied up for the paid version. 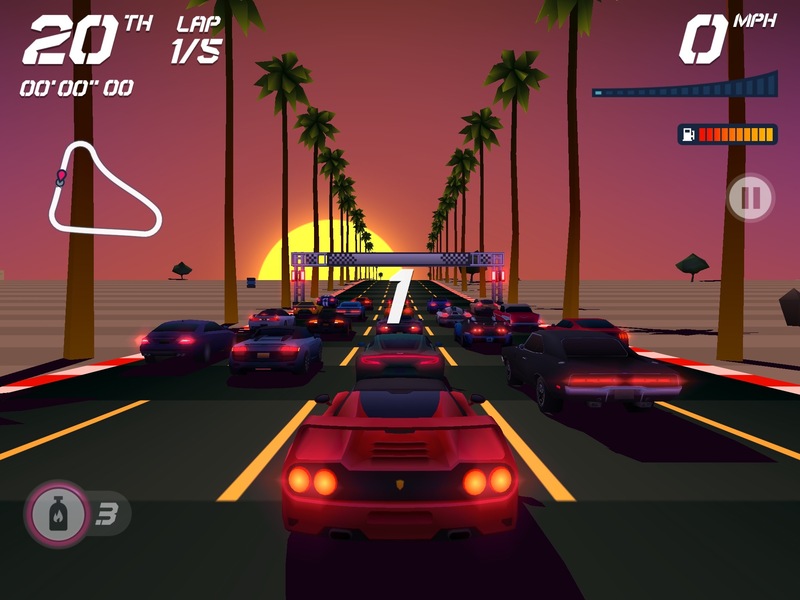 Horizon Chase is an engaging arcade-style racing game with hints of greater complexity and better graphics baked in. It hits the sweet spot between being too complicated or too simplistic, and has no in-app ads or distractions to detract from your driving enjoyment. I love driving games, and it seems they bifurcate into two categories: simplistic arcade types like Pole Position, or sophisticated, super-realistic simulations like Real Racing. That’s great when you have a few minutes to kill, or when you’re ready to settle in for the long haul of car configuration, long racing series, and chasing points for a life-long racing career. But what about the in-between times? That’s why I love Horizon Chase: it offers some of each world. In Horizon Chase you’re a race driver starting out his or her career with a basic car and no understanding of what it takes to win. Still, Horizon Chase is fun from the first race, with almost no learning curve. If you’ve played any kind of first-person driver on your iPad, you’ll instantly understand this one. 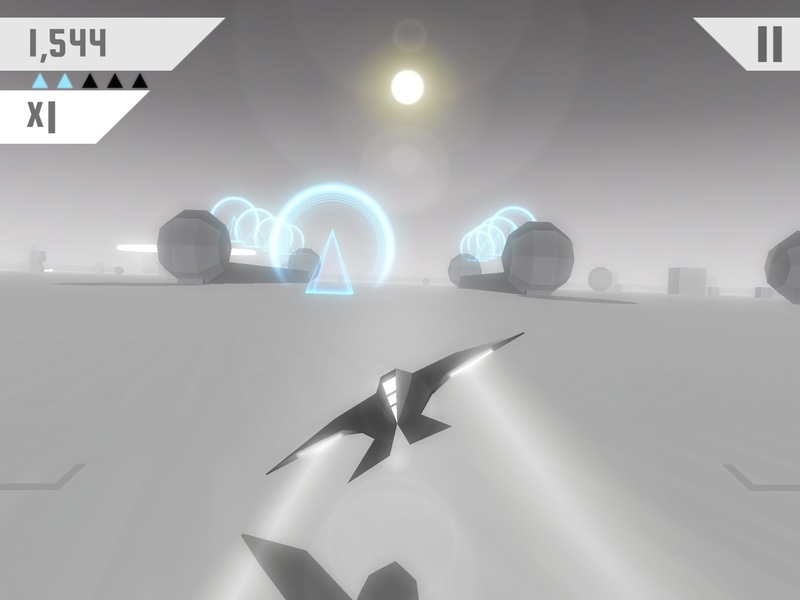 Race the Sun is a twitchy endless flyer that is somehow calming at the same time. 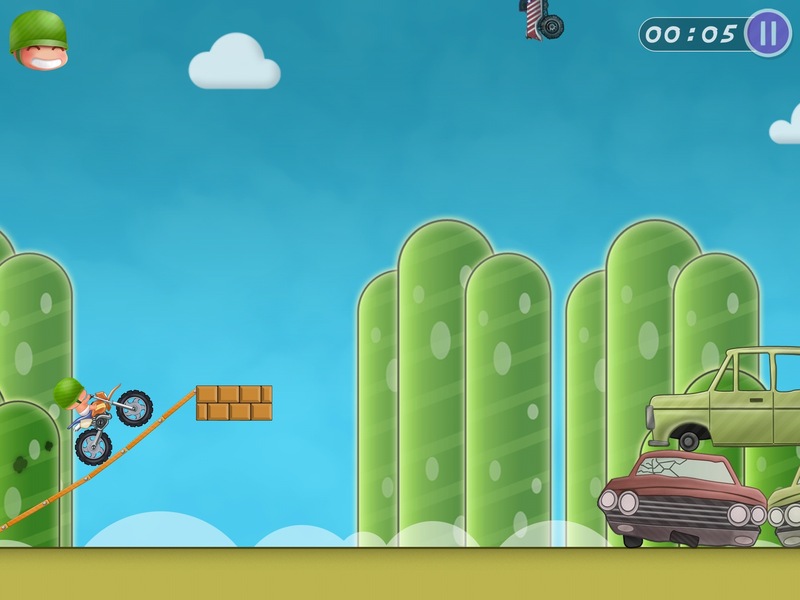 In the game you pilot a super-fast hovercraft (think one of the speeders from the original Star Wars) across an alien landscape, dodging rocks, boulders, and man-made obstacles to get as far as you can. Your ship is solar-powered, so you need to clear each level, as the sun goes down, before you run out of sunlight. You can pick up extra time by running over “tris” or blue orbs of power. As you clear a level and enter the next, the sun rises again, giving you a new lease on life. The graphics are monochromatic with the exception of the tris and other bonus-providing objects you can run over. The shapes are not-quite-natural geometric forms, and the shapes of the objects and greyscale coloration add a zen-like feeling to the game play. 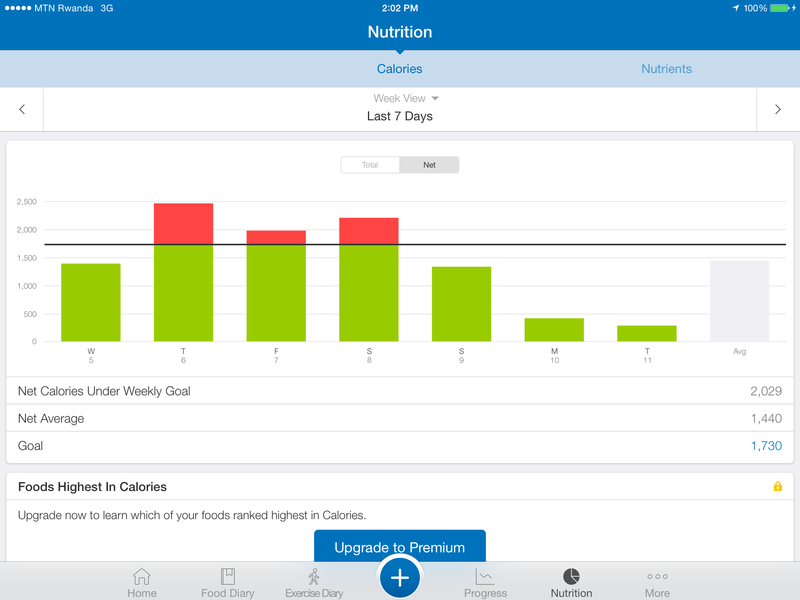 This review compares the nutrient-tracking apps MyFitnessPal, by Under Armor, and MyPlate, by Livestrong. While both offer the ability to track your weight, activity level, and several other parameters, this review focuses on their nutrient-tracking ability. 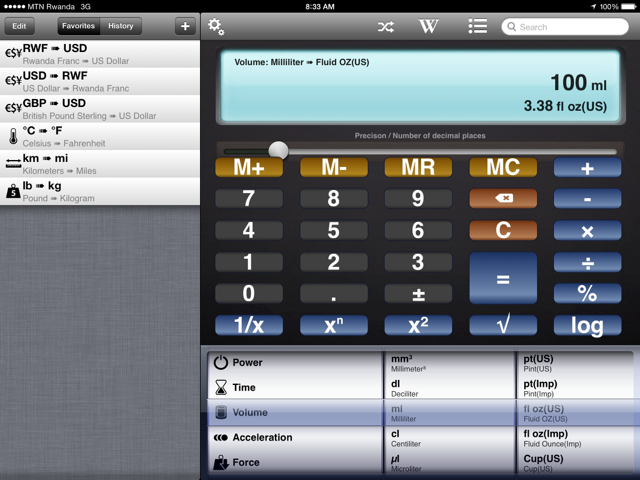 I’m reviewing the free versions of the apps: both have paid versions that offer more intricate tracking and reporting. In the end, they’re both top-notch, and your choice will depend on your priorities. About a year ago, I moved from Washington, DC, to Kigali, Rwanda to work for a year. In Washington I had a long walking and Metro (subway) commute. According to my Fitbit, I walked about 12,000 steps a day as part of my daily routine. Here in Kigali, my commute is a seven-minute walk to the office. This, combined with my wife’s excellent home cooking, had the waistband of my pants growing tighter and tighter. With my return home in sight I decided to start tracking my food intake, as I also ramped up my gym and walking habits. I’ve used the MyPlate web site in the past, but their new iPad app looked even better, and I started tracking my food intake with it. A few weeks later I read this excellent post from Jim Dalrymple of Loop Insights, one of my very favorite Apple-focused bloggers. If you haven’t read his inspirational post about using the Apple Watch and the MyFitnessPal (aka MFP) app to lose over 40 lbs, I highly recommend it. I decided to give MFP a try based on his good experience. There are pros and cons to both apps, so read more below to help decide which is for you. On both apps setup is very simple: enter your height, weight, gender, goal weight, daily activity level, and how many pounds per week you want to lose. The app then generates a goal weight for you. 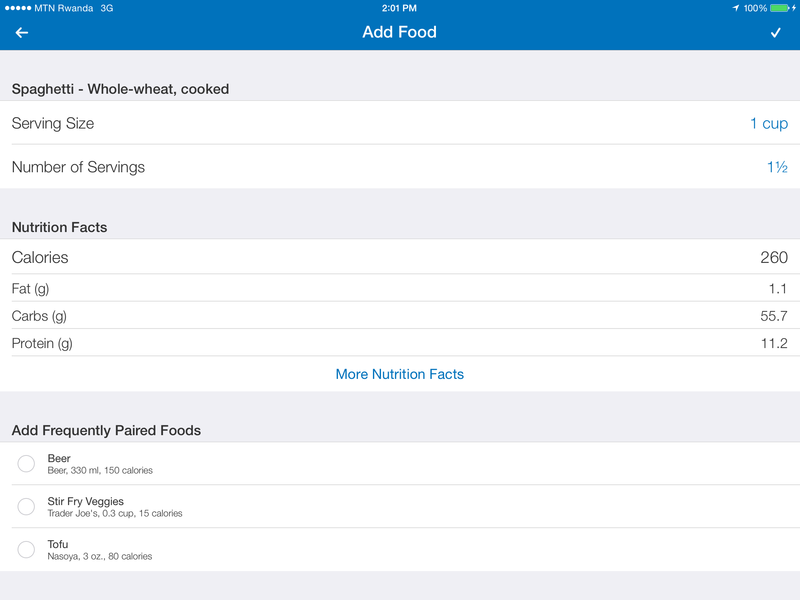 The apps also generate nutrient goals (e.g., how many grams of protein you should have) automatically. The worst part of tracking your diet is entering every morsel that you put in your mouth. Nothing can make it completely effortless, but both apps help by having a huge database of every restaurant and grocery-store food you can imagine, and by remembering what you eat frequently so you don’t have to search for the same thing over and over again. 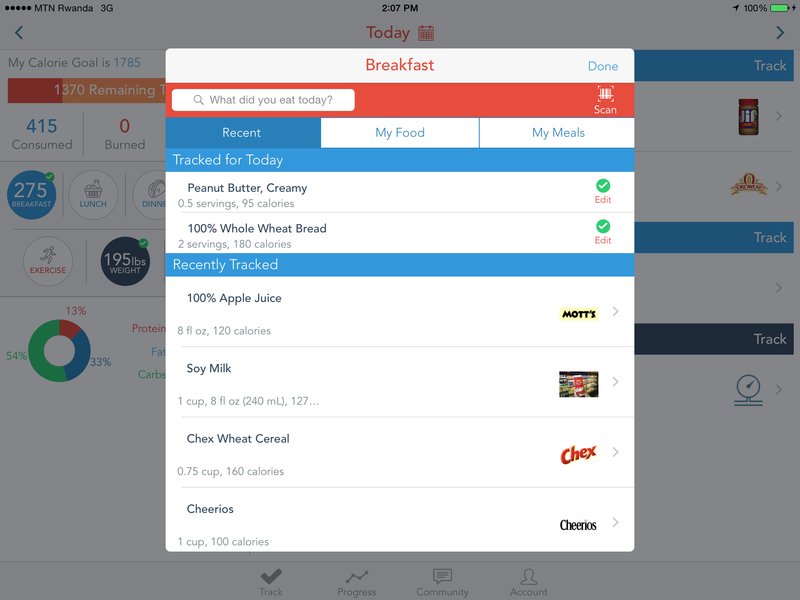 In both apps, you first tap on the meal you want to track: breakfast, lunch, dinner, or snacks. Doing so brings up an entry panel where you can scroll your list of frequently eaten foods and pick one, or search for a new food. The apps are about equal in terms of searching and finding the right food. Items from most fast-food restaurants are included in both, as well as packaged and fresh foods of every kind. I’ve even searched for what I thought were relatively obscure foods like Ethiopian njera or shiro wat, and found a dozen choices for each. When picking frequently eaten foods, MFP holds the slight edge, as it remembers your portion size, where MyPlate always presents the stock portion size that you may have to adjust. For example, I frequently eat Cheerios with ½-cup of soy milk. Even though the stock portion size in both apps is one cup, MFP remembers that last time I only used ½ cup, so presents me with that portion so I can just tap the check mark and be done. MyPlate makes me change “1C” to “1/2 serving” every time. This is a small complaint, but remember we’re trying to make the process as painless as possible. At the end of the day both apps let you assess your intake of calories, the three macro-nutrients (fat, protein, and carbs) and some micro-nutrients. If you’re interested in the most detail possible, MFP has the edge again. If you’re interested in a quick, easy-to-read, at-a-glance summary, MyPlate is better. MyPlate presents large, colorful graphs that let you track several nutrients across a week, and 1, 3, 6, or 12 months. You can track calories (the one I always look at), but also macronutrients, sodium, cholesterol, sugars, and dietary fiber. I find MyPlate’s colorful graphs more visually compelling (including those damned red bars when I go over my calorie goals), but that could be a personal preference. What MyPlate won’t show you in the free version is a daily average over these same periods. For example, it would be useful to me to know my average daily calorie count in June as compared to August. This isn’t a big deal for me as I pull calorie data into Apple’s iPhone Health App which does show daily averages, but it’s a two-step process, which is less convenient. MFP shows all the same info, including daily intake averages, over whatever time period you chose. As with daily reporting, MFP offers more nutrients to track over time, but honestly I don’t use them. 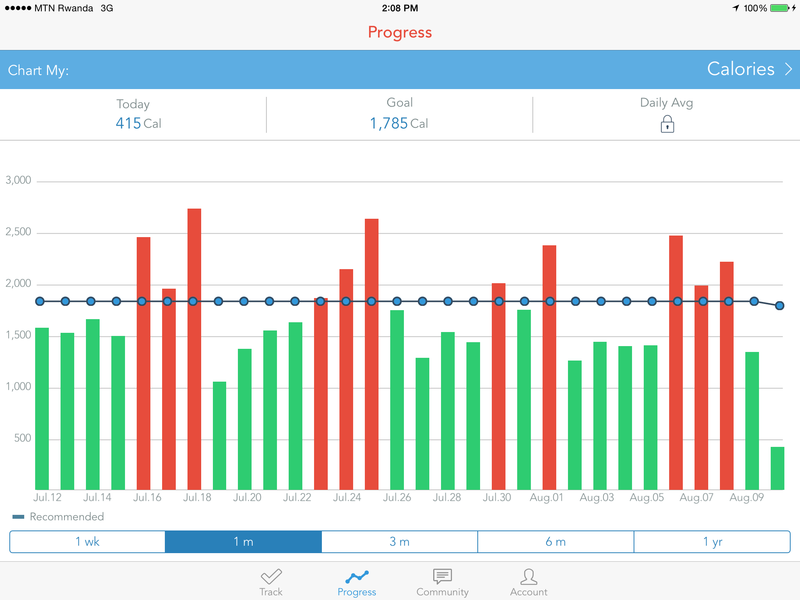 If you want the most fine-grained tracking, and in-app daily averaging, MFP wins here. I’m using Apple’s HealthKit as the hub of my fitness tracking. I feed activity info from the iPhone, nutrition info from these two apps, and am shopping for a better way to get my cycling data into HealthKit as well (If you have a recommendation, please let us know in the comments below.) I also manually enter some info, keeping HealthKit as the hub. This is where MFP fails badly. Setting up MyPlate in Apple’s Health App couldn’t have been easier, and the data transfer to Health Kit is seamless and almost immediate. Connecting MFP, by contrast. was an exercise in frustration. After deleting MyPlate to ensure I wasn’t getting double data, I searched for a while on the MFP forums to find the instructions for connecting to Health Kit. I followed the many, many arcane steps, and finally got them connected. But then the data stopped transferring and I got the dreaded “no data” message from the Health app. I asked for help on the MFP forums, sent email, and even tweeted a plea for help. I got several referrals to the original instructions. I got a Twitter response that referred me to the same email address from which I never received any help. In the end I gave up and went back to MyPlate. But! If this connection to Health Kit isn’t important to you, please disregard this entire section. These are both polished, easy-to-use apps that will help you get important information about your nutrition. I, and many others, find this information invaluable in trying to eat healthy and lose weight. Both sync seamlessly with their web and iPhone apps. If you want connectivity to Apple’s Health Kit, use MyPlate. If you don’t, take your pick based on the info above. Happily you won’t go wrong with either app. Me? I don’t have a scale here, but am down one belt-notch and all my clothes fit again. If I keep it up I might just fit into my 1997 motorcycle leathers by the time I hit the US. MyFitnessPal and MyPlate are both free in the app store. 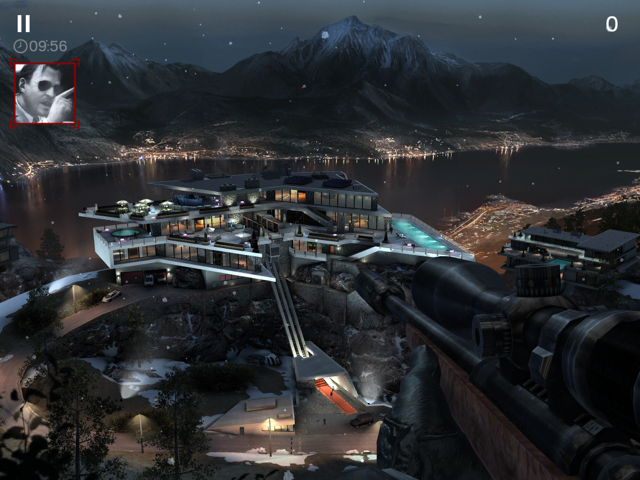 Capsule review: if you like sniper-style shooting games, Hitman Sniper for iPad is the best there is. The story is straight from the Hitman franchise playbook, and the gameplay, weapons selection, and shot control will make you believe you’re the Leon the Professional of your dreams. While I was only mildly interested in the Hitman games on console, it took only one screenshot from the “new games” section of the app store to have me reaching for my wallet. 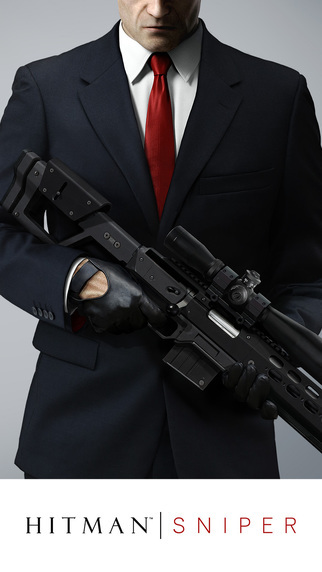 For those unfamiliar with the Hitman games or the movie spinoff, in Hitman Sniper you play Agent 47, a detached, unfeeling assassin raised from a young child to be a cold-blooded contract killer. The barcode on the back of your avatar’s head completes the inhuman presentation of the character. 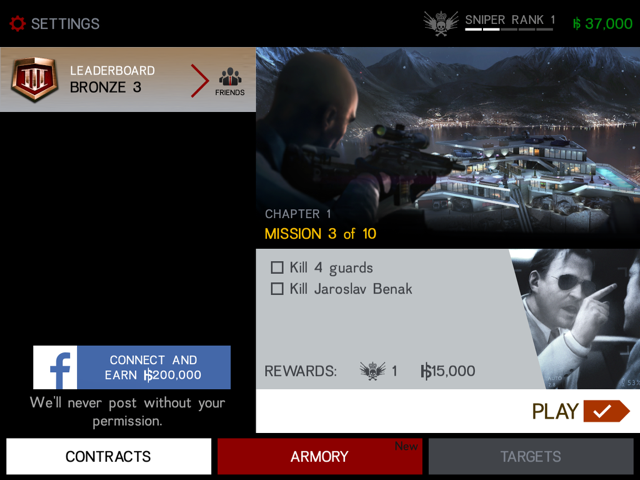 You’re given missions to complete using only a sniper rifle, each mission including a main target that somehow seems like he deserves what he’s getting: you know, a drug kingpin, spy for the bad guys, international arms dealer, and the like. (Even if it’s only a game, the developers have let you assuage your guilt at being so cold blooded.) But ½-way into your second mission you will have forgotten about all that and be super-focused on completing all your mission objectives, collecting your fee, and avoiding the horrible, screaming, red-lettered “mission FAILED” verdict. Prepaid data explained: in most parts of the world, people pay for cellular data up front, and when they use up what they bought, they just buy more. No contracts, no paid-for unused data wasted at the end of the month, and no exorbitant overage charges. I have to admit to being one of the very few people who didn’t care for Angry Birds when it came out during the early days of the iPhone and iPad. I just never got the pigs, eggs, and shaky-structure thing. But blowing up zombies with hand grenades? Bring it on. The developers of the original Fragger game have recently released the sequel we’ve been waiting for: Fragger 2, with three new worlds and 90 new levels. It’s another winning casual game to fill in shorter holes in your schedule. For the uninitiated, in Fragger you play a lone hand-grenade wielding soldier. 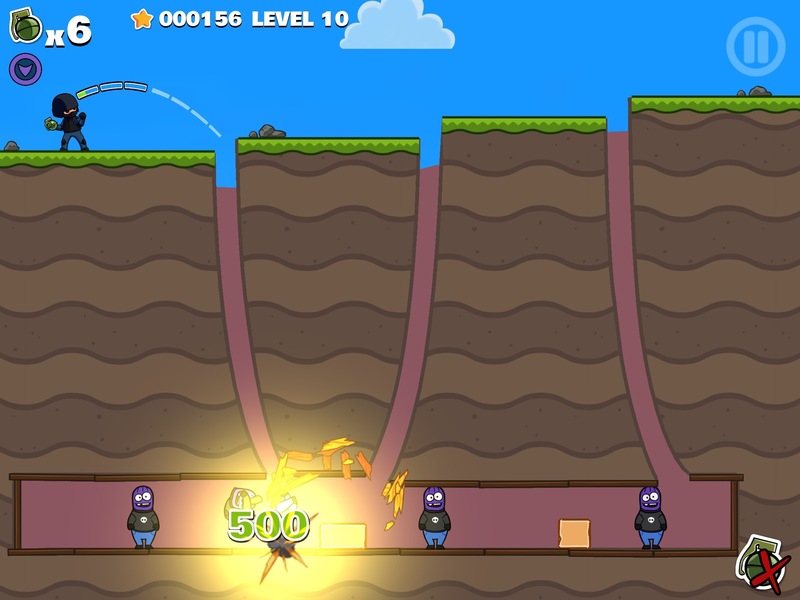 Your job is to lob your supply of grenades, one at a time, at a number of zombies. You control your throw’s trajectory and force by drawing on the screen with your finger. A helpful guide shows the course of the grenade; the length of the guide shows the force with which you throw. Especially in the higher levels, you need to use finesse to throw hard enough to hit your target, but not so hard you over-throw. The grenade explodes when it comes to a rest wherever you have thrown it (not on impact). If you like continuous shooters, aka bullet-storm or bullet-hell arcade games, you’ll love Magenta Arcade. The game has all the good stuff you’d expect from the genre: lots of swarming baddies coming down from the top of the screen that you need to shoot before they touch you and blow you up. The App Store has hundreds or of these shooters: you control a plane or a tank or a person or some other avatar who constantly shoots a stream of bullets up-screen at the bad guys. Magenta Arcade has one innovation that sets it apart and makes it a lot easier to control: your finger on the screen determines the source of the bullet storm; there is no avatar per se. 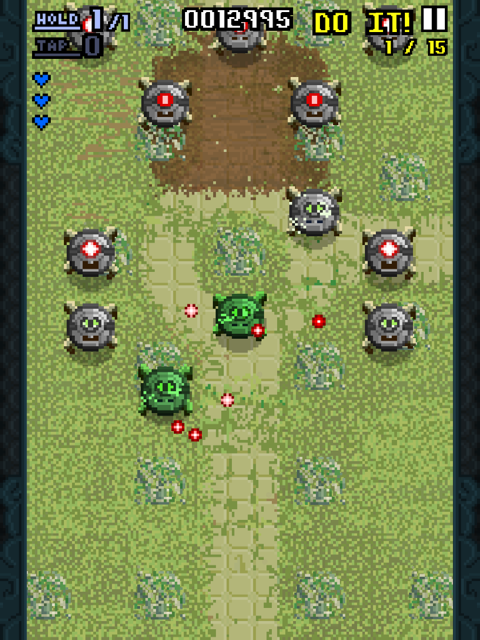 You move around the screen easily, aiming and dodging as quickly as you can move your finger around the screen. There’s no controller middle-man between you and the bullet storm. I love how light my iPad Air is, so I usually use it naked or with just the smart cover. But I travel a lot and need to protect the iPad before I throw it place it carefully in my bag. Growing up in the frozen north of Michigan I learned to love wool clothes, so picking a wool felt iPad sleeve was a natural (pun intended) for me. I love the look and feel of wool felt, and like that it’s renewable. 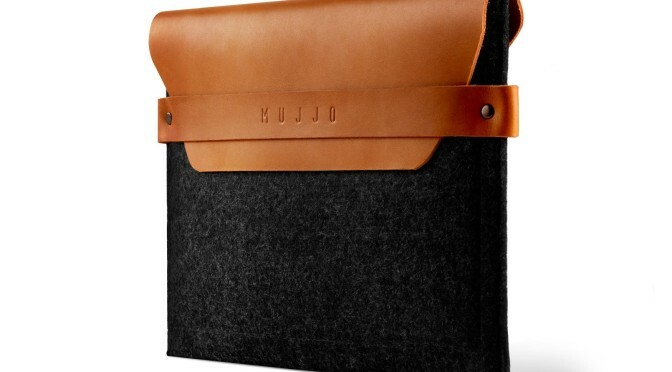 I tried two of the most prominent brands of felt iPad sleeves and both have their merits and limitations. Keep reading to see if one of them might be right for you. Being a minimalist at heart, I started with the Byrd & Belle Simple iPad Air sleeve. I also figured a Minnesota company should know how to do wool. 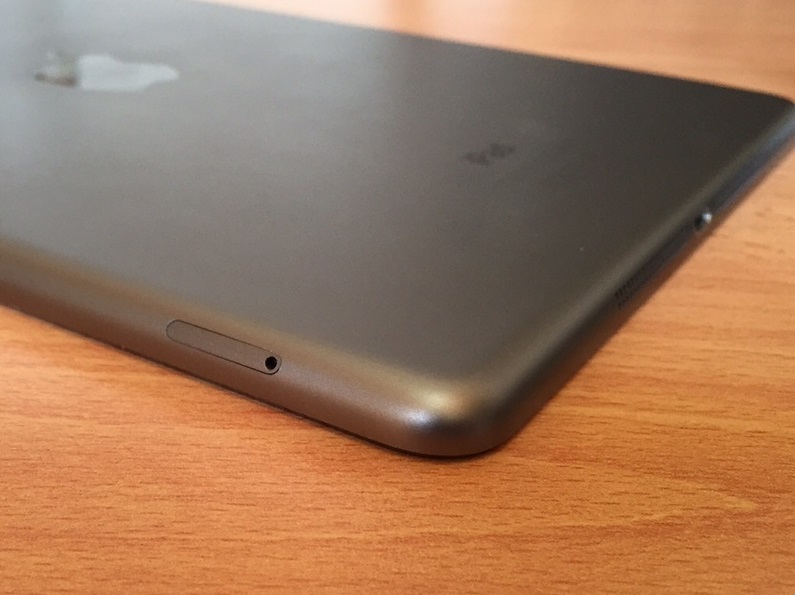 The sleeve is as simple as it can get: no closures, and no hardware to possibly scratch my iPad. 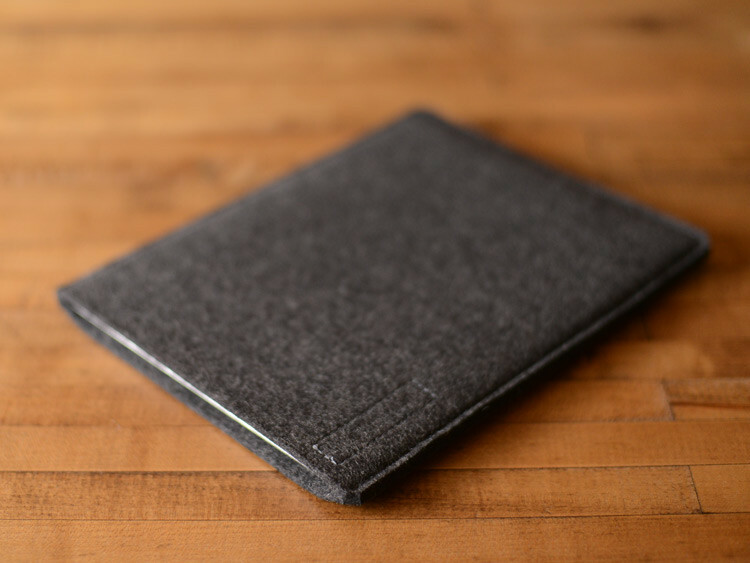 The wool is thick, beautiful, and will protect your iPad from bumps and scratches. Of course it won’t protect from extreme calamities the way a hard case like a Pad & Quill would, but my iPad always goes in some kind of bag when I’m traveling. The stitching on the Belle & Byrd sleeve is extremely precise: my iPad fits perfectly with the smart cover on. Without the smart cover, the iPad could theoretically slip out if I put it in the bag upside down and grabbed the sleeve by the bottom and gave it a mighty tug. If placed in the bag with the opening up or to the side, however, there’s no way the iPad will slip out.